Moving to a new home can be a time of high stress for any family. But it doesn’t have to be that way. Let us handle the physical details of packing and moving your belongings, so you have time to make your new home a welcoming one for your family. Our friendly moving staff is accustomed to helping families with kids and can address any concerns about the physical or financial aspects of your move. No matter whether you are moving to or from Pembroke Pines, you will need professional assistance. This is not because you are unable to conduct the relocation on your own. No. It is simply to ensure a smooth and stress-free moving process. After all, why waste valuable time and energy with such a task when there are experienced Pembroke Pines movers at your disposal? The best solutions for all your moving needs for a bargain of a fee. The only thing you have to do is find the Florida movers for the job and hire them. Easy enough, right? If the stress of moving by yourself gets to you, you can always find all-inclusive moving specialists in Pembroke Pines to help you. Not only can Orange Movers Miami transport your items for you, but we can also pack and unpack them as well or even store them. So, you can focus on other priorities during your migration to Pembroke Pines. 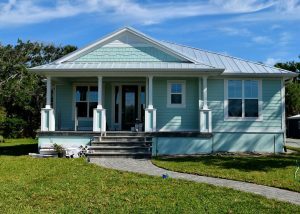 If you’re moving across the Sunshine State, utilizing a full service moving company can make all the difference. Our Pembroke Pines movers are a phone call away. The only general downside to hiring these professionals is the increased cost. However, this is not the case with our Pembroke Pines movers. The rates we offer customers are the best in the state! Hire us and then the back-breaking chore of moving is no longer your problem. Packing is probably the easiest part, so if you do that yourself, you’re already saving quite a bit of money on movers as they simply have to load up your belongings. What should one come to expect from Orange Movers Miami in terms of moving services? As long as you are going to hire professional movers South Florida for your relocation, you might as well make sure that you get the full package. After all, what use is there for hiring professional Pembroke Pines movers if they are unable to provide basic moving solutions? Perhaps you have some specialized items that you need to take with you, but the movers are not qualified enough to handle them. However, what you should come to expect from our Pembroke Pines movers is full coverage. And you can rest assured that companies such as Orange Movers Miami is able to cover every step of your moving process. You’re probably thinking that everyone can be a local mover – no difficulties there, right? Well, we wouldn’t quite agree with that opinion. In order to establish yourself and your company as a local moving expert, you need to possess certain qualities. Otherwise, what is the point of having professional local movers Miami? In comparison to local moving, long distance relocation is a different league all-together. The larger the distance, the more there is for you to think about. However, as you might have learned by now, nothing is too difficult if you have the right people to help you out. And Orange Movers Miami is a company that understands how unique each and every long distance moving can be. This is why we are prepared to help you, no matter if your move is work, family or housing-cost related. Our Pembroke Pines Movers make sure that your belongings are packed with the utmost care. Your property is never as exposed to damage as it is during relocation. This is why you need to take every precaution necessary to ensure protection from harm. Among the many services we offer, Orange Movers Miami provides detailed and expert packing of your belongings. For this task, we use high-quality packing materials in combination with the packing expertise all our employees possess. 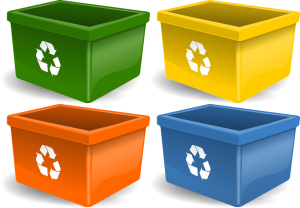 Experienced Pembroke Pines packers – from the smallest to the largest item you have in your household or office. Protective wrapping and padding – to ensure that no matter how fragile the items we pack, their safety is ensured. Fragile Items – we will make sure that everything arrives in mint condition to your new home. Crating – Motorcycles, Off-Road Vehicles, Pianos…we are able to provide custom crating services for all specialty items you have. Secure Loading & Unloading – our movers work to ensure that your valuables are safely loaded and unloaded. During any relocation you conduct, it is important to have fail-safes in place, to make sure that all your belongings remain safe. At other times, you will simply realize that you have too many belongings and not enough space for them all. And it is at this point when the need for affordable storage arises. So, Orange Movers Miami is here to provide you with the option to have your valuables safely stored away until the day you might have room for them comes. If you are still having doubts about the services we provide, just consider everything we offer. No matter the type of relocation you are planning, we have the capabilities to assist you. Our Pembroke Pines movers possess the knowledge and expertise to provide the best solution for your move. The equipment we use is of modern design and high-quality. Our services are affordable so as to fit your budget limitations. Put your trust in Orange Movers Miami and we guarantee that you will not regret it! Call us today and get your free estimate! Pembroke Pines movers will make sure that you are settled into your new home. Whether you’re moving to a bigger home or downsizing in space, you’ll save time and money with a full-service move by Orange Movers. Yes, it’s possible to save time and money when using full-service, including packing, moving and storage. Let us show you how. After all, your time is valuable too. Don’t let a bad move get your business off to a bad start. Our movers have years of experience in commercial moving and will get you into your new space quickly and efficiently. Whether you’re moving into a shopping center, office building, warehouse or medical building, we’ll make it happen on time and within a tight budget. Use experts who have the know-how to move specialty items, ranging from delicate artwork to large pianos, heavy statues and special equipment. Our flexible scheduling and friendly staff will make sure it gets to your new home or office with no headaches and little stress. 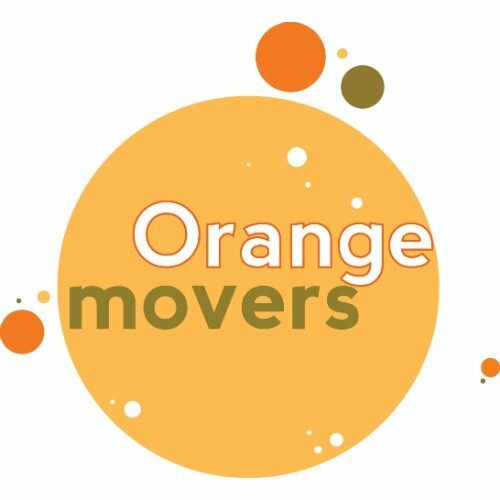 How Do You Compare Orange Movers To DIY Or Uhaul? If you’re comparing price or service, we can help. We know homeowners in Pembroke Pines and elsewhere compare professional movers to DIY options, doing it themselves or other movers. See our article on the subject and ask yourself a few questions. Will your belongings be safe from theft and unstable climate conditions during the move? Are portable storage units allowed in your neighborhood? Will your items be professionally packed and loaded? (Load shifts can lead to damage.) Research your options and remember: our full-service moving isn’t as expensive as you think. Clients appreciate the fact that we keep them informed and move them with care. Here’s a review from Sabrina S. in Pembroke Pines: ‘I recently chose Orange Movers over dozens of other moving companies for a local move in Broward. 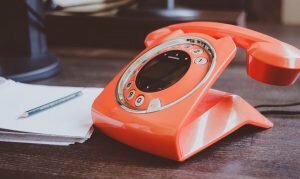 Frank was very clear and courteous with me on the phone and was always available to talk to for changes/revisions with regards to the items that were going to be moved and the moving date…. On the day of the move, the movers showed up on time and were quick, efficient, and CAREFUL with our furniture… Orange Movers were honest, timely, and trustworthy. Thanks for your service! One of the top priorities for moving families is pricing. We get it and we try to make our estimates as clear as possible. We also offer an online pricing calculator for your convenience. While our calculator is a good starting point, you can also call us for an in-home visit and detailed estimate on your move. This will outline all of the services included and the insurance provided. Our customers have praised us for our friendly, low pricing, as well as our friendly service. Crew members who are not only friendly and courteous, but also pros at efficiency, have helped us develop a great reputation among locals. Contact us to find out for yourself. Not moving in right away? Unexpected delays in closing on your new home? Store your items for the short or long term with us. With a variety of storage options, we can house your belongings and deliver them when you need them. We’ll even pack them up for you and keep them in a climate-controlled environment. It’s a convenient option that is used by many families in South Florida, especially when they’re downsizing or waiting between homes. Get a free storage quote and contact us about storage. Your items will be protected from theft, vandalism, loss or damage, as well as climate. Ask about our offer of a free month of storage for local moves. Available in Pembroke Pines, Hollywood, Miramar and nearby areas. Friends and a hired truck aren’t always the best option for an efficient move. Not having the right equipment can lead to badly packed items, uneven truck loading, damaged goods and a rough moving experience overall. Professional movers like ours, on the other hand, are always equipped with the right packing materials and have the experience to load trucks to avoid load shifts during transport. Our trucks are also clean and serviced frequently to avoid breakdowns and delays.